In light of the tragedy of losing Paige at NDFH, I cannot think of a better way to end this fundraising drive then with the story I have to share with you today. Laine, Kevin’s mama, shares her story… a story that isn’t yet over but shows just how very much this is all worth it. I love the end of it, especially. We first saw his picture in January 2009. After looking at his file along with the various cardiologist opinions, it was apparent that without further medical attention, Kevin would be in dire straits. 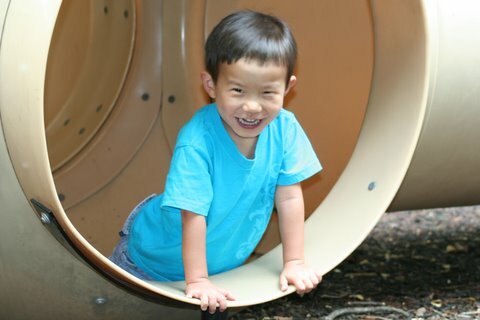 Kevin was diagnosed with a severe congenital heart condition. He has dextrocardia, heterotaxy, hypoplastic left heart syndrome, & a large VSD. He also had severe pulmonary hypertension. 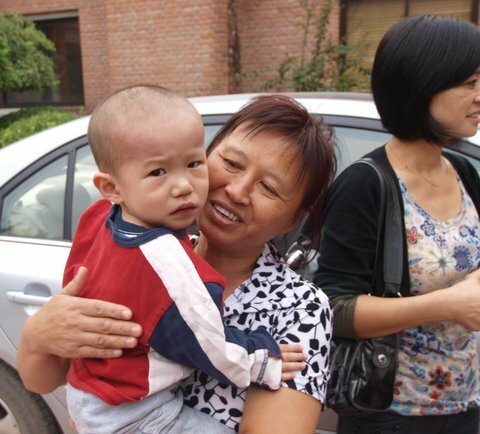 When he was almost two he was moved from his orphanage in Hunan province to New Day in hopes of receiving the medical care he so desperately needed. 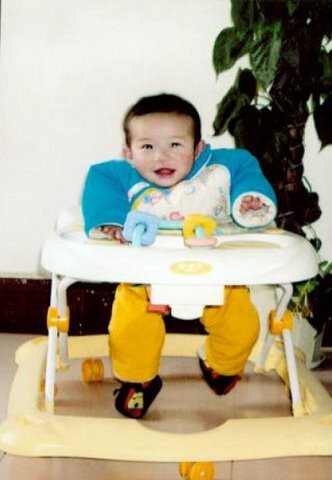 Kevin is a rare case, and the surgeons in Beijing were very concerned that he would not survive surgery. It was decided that Kevin needed to wait until he could be adopted to attempt any surgical procedures on his weak and frail little body. The nannies at the Healing Home took such good care of Kevin. They made sure he did not overly exert himself. They made sure he had healthy foods to eat. They kept a close eye on Kevin’s oxygen levels. And above all of these necessities, they made sure Kevin was loved, loved, and loved some more. 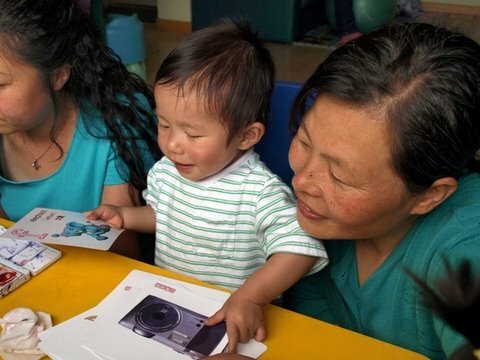 Oh how thankful we are for the tender care his nannies, as well as so many interns and staff gave to Kevin. We know, without a shadow of a doubt, that God used New Day to save Kevin for us. Upon arriving home it was indeed confirmed that Kevin’s pulmonary hypertension was too extensive for him to survive the Glenn procedure, which he needed for his single ventricle heart defect. Instead of the Glenn, Kevin received a much less invasive BT shunt to redirect blood flow and hopefully help repair his damaged lungs. Our hope is that over time, his lungs will be in a good place that he might receive his heart repair surgery. We praise God that in the 17 months since his shunt was placed, his lungs have improved somewhat, and he is doing really well! Are his lungs to that ‘magic number’ where the doctors feel comfortable performing the surgery? Not yet. Will they ever be? God knows. God saved Kevin. While most moms of heart babies are thankful their children had heart surgery at New Day, we are thankful Kevin did NOT have surgery! The surgeons in Beijing were wise and discerning in suggesting Kevin needed to wait on surgery. Indeed, his little lungs just couldn’t have taken it. What a BLESSING that New Day has such caring doctors who look to the best interest of each child, taking into account their individual health and prognosis. The recent death of little Paige has not only caused much sadness at New Day, but it has hit really close to home for us. Our hearts hurt for those who loved her so. Paige had similar defects to Kevin. We realize that Kevin could easily not be here with us today. Heck, everyday we realize we don’t have a clue how long he WILL be with us. Kevin is worth that risk. Paige was worth that risk too. The unconditional love that New Day shows to each child truly brings healing. Maybe their physical defects are not immediately healed, but their little hearts and souls are soothed with the balm of love and physical touch. They are EACH so very WORTH IT ALL. The matching fund goal has been met, PRAISE GOD! But the needs? They go far beyond that goal, yall. Please don’t stop giving. After 7 days of stories, real-life-heart–beating-tear- invoking-stories, we can all see that every dollar given to New Day goes toward changing and saving LIVES of children who are WORTH IT ALL! Kevin Today: Spunky, Sassy, Silly & Supercalifragilisticexpialidocious!!!!!!!!!!! As Laine pointed out, the fundraising drive is over and we reached our goal. $30,000 for NDFH’s medical fund. But as she also pointed out, the needs don’t stop there. If you didn’t get a chance to give, and you want to do so, please feel free to donate to the medical fund either online or by check – instructions are on NDFH’s website. And did you see the comment left on our blog yesterday? As one of the families who is providing the “match” for this fundraiser, I want to thank everyone so much for their generosity and living out so beautifully the call to care for orphans. I am thankful we met our “goal”, but if you want to give and haven’t done so yet, we will still match whatever comes in before the chip-in ends tomorrow, even that which is above the $5000. I don’t know our max…push us! 🙂 And dear sweet Paige, rest in your Father’s arms. So what do you say?! If you give and want your gift to be matched, please drop me an email and let me know how much you sent. I’ll pass it along to the person doing the matching grant. Why stop doing a good thing!? And in closing, I want to say THANK YOU SO MUCH! On a personal note, it meant a lot to me to see this goal reached. Margaret Mead once said, “”Never underestimate the power of a small group of committed people to change the world. In fact, it is the only thing that ever has.” That, my friends, is what we are doing. Kevin is one of our favorite little guys. We are so thankful for him and his family. Kevin was Maria's best buddie at New Day and we are so thankful that they are able to keep in touch. Laine thanks for posting Kevin's story here. We continue to pray for his lungs to get to a point where he can receive his surgery. 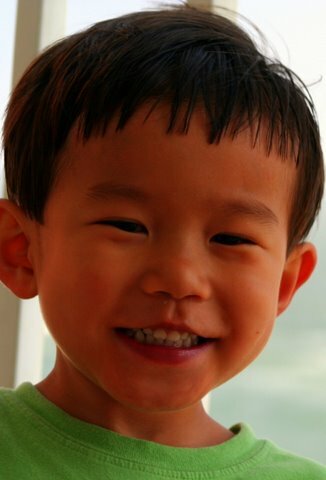 I just donated $10 in honor of Kevin.I went to New Day's site and clicked on the medical fund link…I hope I donated in the right place so that this can be counted in the matching grant? Thank you for all you have done, and are still doing for these precious children. Thank you Carrie for continuing to share with us the stories that prove Our God is STILL in the miracle business! Laine, your story makes me cry every time. My name is Jaclyn and I am just in the beginning stages of our adoption journey. I am trying to make connections with other parents who have gone through this amazing process. Please feel free to join me in my journey.